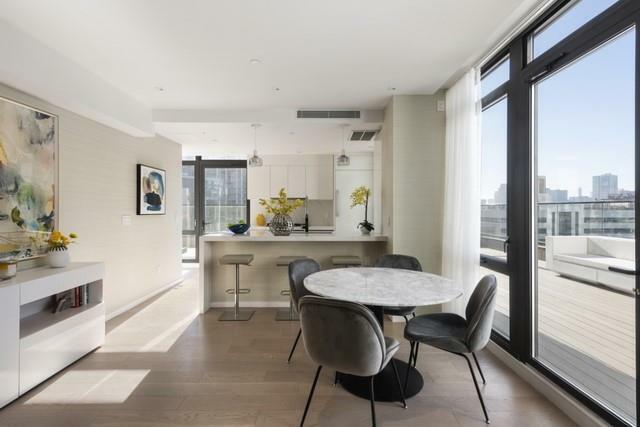 Enjoy the best of both worlds in this penthouse oasis in prime Long Island City, not one architectural detail was spared when building this luxury condo building. 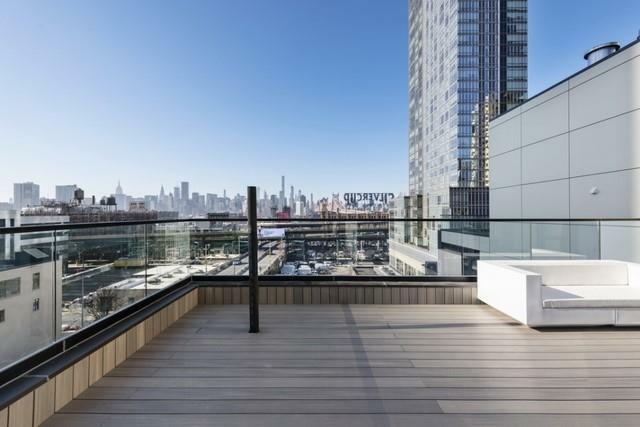 Upon entering this spacious penthouse your attention is immediately drawn to the gorgeous New York City skyline peaking behind the famous Silvercup sign. The open living and kitchen layout is perfect for families and entertaining a like. The wrap around private terrace offers privacy and indoor/outdoor living. With Southern and Western exposure you will have an abundance of light and views any where you turn. 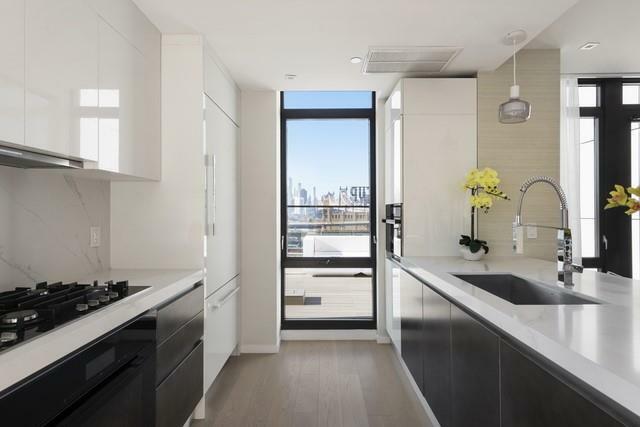 This stunning new development offers the purchaser the highest level of finish quality from the German designed Grohe faucets to the Mirage wood floors, to the Scavolini Kitchen Cabinet and COMPAC-Unique Calacatta countertops the units are timeless and elegant. They are also extremely practical offering everyday conveiences such as the Nest Thermostat system and LG heating and air-conditioning. 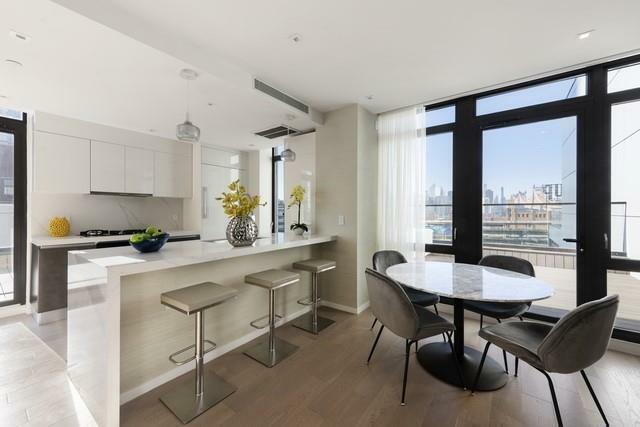 Additional finishes include, Miele appliances, Lieberr refrigerator, Bertazzoni stove, Bosch dishwasher, Moen Kitchen sink, Porcelanosa tiles, TOTO toilet and Kohler bathtubs.Arcadia LIC: is a luxury boutique condo located at 24-12 42nd Road Long Island City. The building offers a 421-A 15-year Tax abatement. Amenities include a Virtual doorman-a premier security service with better building security, secure package delivery, package delivery notification, access to emergency services at the push of a button, access control security and more.